LATAM division entered the R6 Pro League’s matchday 12 with the top five teams a mere two points away from each other. With the division so closely bunched at the top, most teams depended on FaZe Clan stumbling through the rest of the regular season, especially Team Liquid. Let’s go over how matchday 12 went down. Third-ranked Liquid had a seemingly easy match up against the bottom-ranked paiN Gaming on Border. With paiN stagnating at the bottom with a meager five points to their name, the team would need nothing short of a miracle to avoid auto-relegation. The pre-match survey was unsurprising with Liquid smashing 85 percent of the vote and paiN getting some underdog support with nine percent. Nomad, Glaz, Mira, and Maestro were banned out of the game. The first three rounds went the way of paiN, with commentator Michael “KiXSTAR” Stockley noting the apparent confusion that swept over Liquid. It was baffling to see paiN run a perfect round two defense against Liquid. PaiN gaming’s Guilherme “Revo1Tz” Constancio Guimaraes Lima and paiN coach Norden held a great Echo-Kaid defense in round three that completely ruined Liquid’s push onto site. Liquid finally came away with a round win in round four, however, by storming Armory and securing a plant. Liquid performed better on defense, but definitely struggled with communication, especially in regard to when the defuser was being planted. PaiN prevented Liquid from tying up the match at 5-5, and got themselves a point with a 6-4 lead. Luccas “Paluh” Vinnicius Molina gave a strong effort as Doc when defending Armory in round 12. Paluh is a major reason why the match came to a draw of 6-6. Those three points would have been amazing for paiN. Sure, a point is great for paiN, but it’s nowhere near enough to keep them out of auto-relegation. The undefeated Immortals and INTZ e-Sports met on Clubhouse. The pre-stream survey showed 76 percent for Immortals and 15 percent for INTZ. Maverick, Ying, Mira, and Echo were banned out of match. INTZ started off on defense with Vitor “Intact” Janz e Silva taking away Immortals’ ability to hardbreach hatch over Arsenal. Intact’s impact nades made short work of both Hibana and Thermite’s charges which heavily contributed to an INTZ perfect round. With so much time wasted, Immortals were unable to make anything of round one. INTZ gained an early lead of 3-1 thanks to their Arsenal defense. Jaime “Cyb3r” Pereira Ramos Junior managed to get himself in a clutch situation as the last man alive. Cyb3r managed to get the plant off, but couldn’t handle the last INTZ Bandit. It seemed that Lucas “Yuuk” Rodrigues Carvalho was the most dominant player for INTZ in terms of frags. Yuuk’s efforts helped to secure a 4-2 lead, putting Immortals in an awkward position in the match and possibly in the standings. INTZ ran a perfect attack their first run giving them a 5-2 lead. Jose “Bullet” Victor Santos de Souza’s Bandit tricking proved a crucial asset in round nine when he managed to waste a full minute of INTZ’s attack time. Without Bullet, there’s no way the round would have been won for Immortals. After a four-round defensive streak, Immortals found their lead at 6-5, ensuring at least one point in the event of a draw. Immortals remain undefeated, but now have six draws to match their six wins as INTZ were able to secure a draw at the last minute. Had Bullet’s Bandit not been flushed out from Gym wall and then Bathroom, maybe the match would have gone in Immortals’ favor. INTZ proved the pre-stream survey wrong as they brought Immortals to a halt. FaZe matched with Black Dragons on Oregon. The second-ranked FaZe entered with 79 percent of the pre-stream vote, while Black Dragons snagged 19 percent. The match saw Glaz, Nomad, Smoke, and Echo banned from play, but not much else. FaZe ran through round one with relative ease, and due to Black Dragons’ connection problems the match swung 3-1 in FaZe’s favor. Ultimately, the match counts as a forfeit for Black Dragons. Even if a team is at the bottom of the standings, this isn’t the way any fan wants to see their team win. Parker “Interro” Mackay and KiXSTAR both highlighted that the situation was fitting since FaZe suffered a similar forfeit earlier in the season. The final match standing is 7-0 in favor of FaZe. Ninjas in Pyjamas and ReD DevilS e-Sports chose to fight it out on Oregon. Ying, Nomad, Smoke, and Mira were all banned out at the top of the match. Due to a rehost and some other technical difficulties, the bans were not re-entered after rehost. Players had to keep track of bans on their own. NiP walked away with round one before the rehost took place. Gustavo “Psycho” Eugenio Rigal dos Santos ran round two for NiP with some aggressive Valkyrie plays and the aid of Echo’s Yokai drone. The momentum kept building for NiP as they steamrolled through ReD DevilS for three rounds straight. ReD DevilS finally found a win in round four. Julio Giacomelli, of NiP, couldn’t manage to close out the one-vs-three clutch, but he showed a solid effort. NiP lost some steam in back-to-back losses while defending Dorms. Player placement was questionable—several of NiP’s roster left themselves exposed and handed ReD DevilS free frags. ReD DevilS’ Vinicius “Vnx” Morandi Mello was left in a tough one-vs-four with only 30 seconds on the clock, which led to a time victory for NiP before switching sides at 4-2, NiP. Gabriel “Velvet” Stedile and Vnx started their defense in impressive form when halting Psycho’s potential ace at the last seconds of round seven. Interro and KiXSTAR noted that round seven probably should have gone to NiP, or rather, should have gone to Psycho who did most of the work. Conversely, Velvet carried a lot of the weight in round eight by taking out Psycho from the jump before proceeding to clutch up the round one-vs-one and get the defuse. Teams managed to get themselves into a 5-5 tie with Velvet and Vnx handling NiP’s attacks smartly and skillfully. NiP answered ReD DevilS with another attack win and securing at least one point with a lead of 6-5. Julio clutched round 12 one-vs-one to secure a NiP victory. The match closed out at 7-5 for the first actual win of matchday 12. Overall, it was an underwhelming matchday 12 for LATAM. With some disappointing draws and a Black Dragons forfeit, NiP served as lone victors of the day. NiP will surpass Liquid in the standings, but again, the battle at the top is fierce and Immortals still remain undefeated. LATAM picks back up Wednesday, April 17. 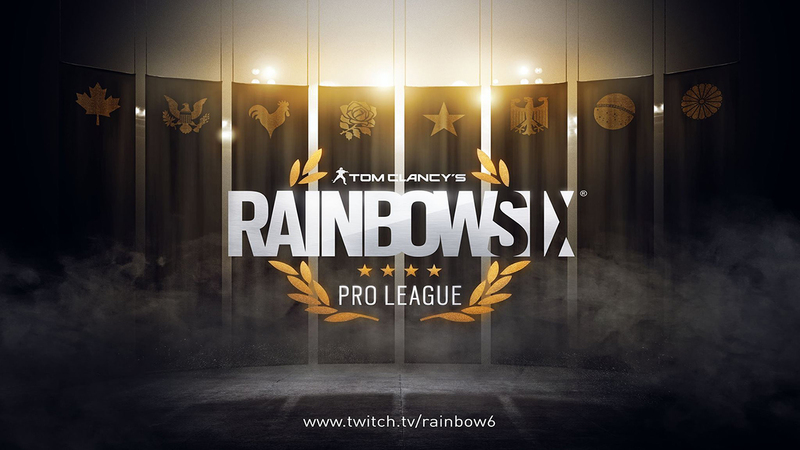 As always, fans can catch the official Pro League broadcast here.